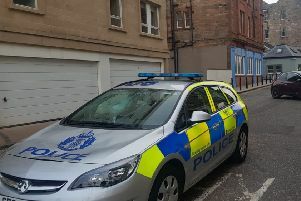 A 37-year-old man has been arrested and charged in connection with a break-in and theft from an East Lothian pharmacy. The incident happened at the Wallyford pharmacy in the early hours of Wednesday, February 6 during which time prescription medication was stolen. A large quantity of medication has now been recovered and the man is due to appear at Edinburgh Sheriff Court today (Monday 11 February). Officers would like to thank those members of the public who assisted with their enquiries.